Click on the 'Fields' link of the PaidSystem dashboard. This page displays a table listing all fields configured in the AdsManager component. 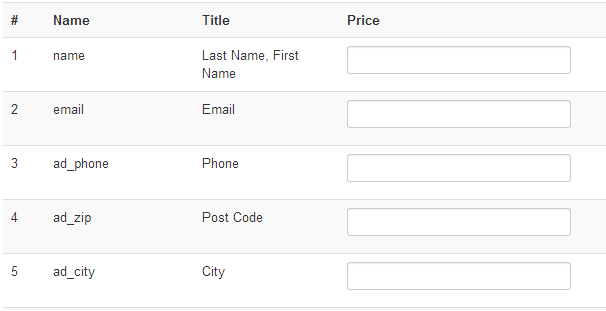 But unlike AdsManager, you can assign a specific price to the desired fields. Simply enter the price in front of the corresponding fields and submit the form. Note: If the field is not required and the user leaves it empty, the user will not have to pay for it.